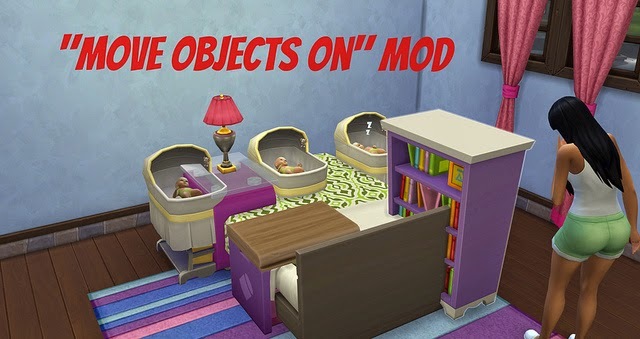 TwistedMexican has just released the “Move Objects On” mod for The Sims 4. He has also included the ability to destroy the mailbox, so be sure to check out the mod page for more information on this mod. added in at a later date with picking up and moving Sims. 1.Download the file and open it. Do NOT unzip this file, just drag it. Options > Game Options > Other, and enable "Script Mods" then restart your game.